In addition to beautifying effects, the natural hotspring has many other benefits. It is a famous hotspring among those in the know. 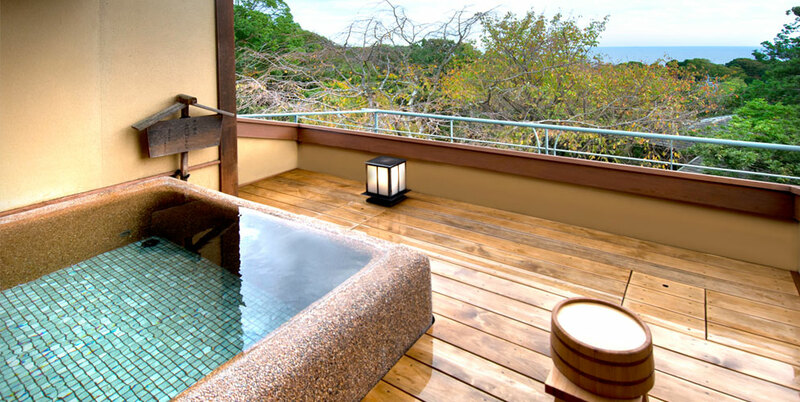 Ukiyama Hotspring has been adored by many since its opening. Guests can enjoy garden open-air baths, large baths and private open-air baths. Each one has two distinct types of baths. and "Aoi", a hexagon-shaped open-air bath that is surrounded by a bushy grove of mixed trees, Japanese spurge, a bamboo fence, fringed iris and spear flowers. 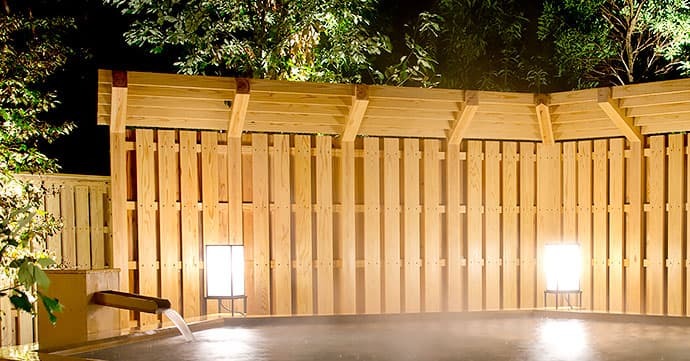 Guests can enjoy the natural hotspring while feeling like they are in the middle of a forest. An outdoor terrace is also available as a resting space after a bath. The men and women's baths are switched the following day. Guests are able to enjoy both baths while staying with us. The two large baths, "Hisui" and "Shion" boast the largest amount of spring water on the complex. and the nature around them through large glass windows. The hotspring waters are soft, transparent, and free of taste or smell. These waters will warm your body to its core, alleviate fatigue, and help you achieve beautiful skin. Both baths include sauna facilities. The men and women's baths are switched at midnight. There are two private open-air baths on the 2nd floor of the East building. 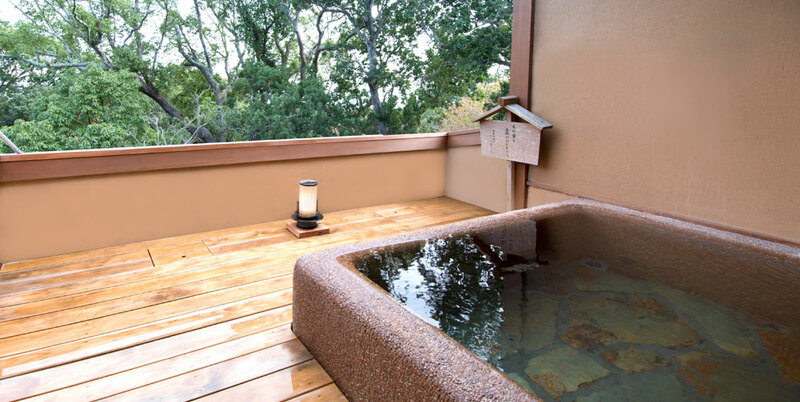 Enjoy a relaxing bath while gazing over the bayberry tree and the Izu Sea. These baths may be used for free when vacant.